Mini disc to conversion to CD and digital audio files. Mini Disc conversion to CD. or computer file service. Sussex, Brighton Seaford and UK. About Mini Disc conversion to CD. The MiniDisc. (MD) is an obsolete magneto-optical disc-based data storage device. For 74 minutes and, later. 80 minutes, of digitised audio. Or 1 gigabyte of Hi-MD data. The Sony brand audio players were on the market from September 1992. Until March 2013. MiniDisc was announced by Sony in September 1992. It was released that November for sale in Japan. And in December for the USA and Europe.. The music format was originally based exclusively on ATRAC. Known as audio data compression. But the option of linear PCM digital recording was later introduced to attain audio quality comparable to that of a compact disc. MiniDiscs were very popular in Japan. But made a limited impact elsewhere. 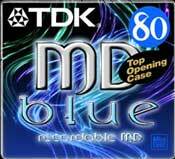 The first MiniDisc to be released in the USA. Was MTV Unplugged by Mariah Carey on December 7, 1992. Sony announced they would cease development of MD devices. With last of the players to be sold by March 2013. Source from Wikipedia. All our Mini Disc conversion to CD and digital audio format. Are carried out using a purely digital coaxial interconnect. For lossless Mini Disc transfer. Mini Disc conversion to CD players. Mini Disc players have 2 forms of digital outputs. These were Optical and coaxial . We use coaxial for the best Mini Disc transfer possible. All our Mini Disc to CD transfers are copied using our Apple Mac computers. With professional grade audio hardware.Where necessary we use Pro Tools software for our audio conversions and sample at high Bit rates. £15 per hour of audio. If you wish your Mini Disc conversion to CD. Transfer uploaded on the web then contact us for more details.